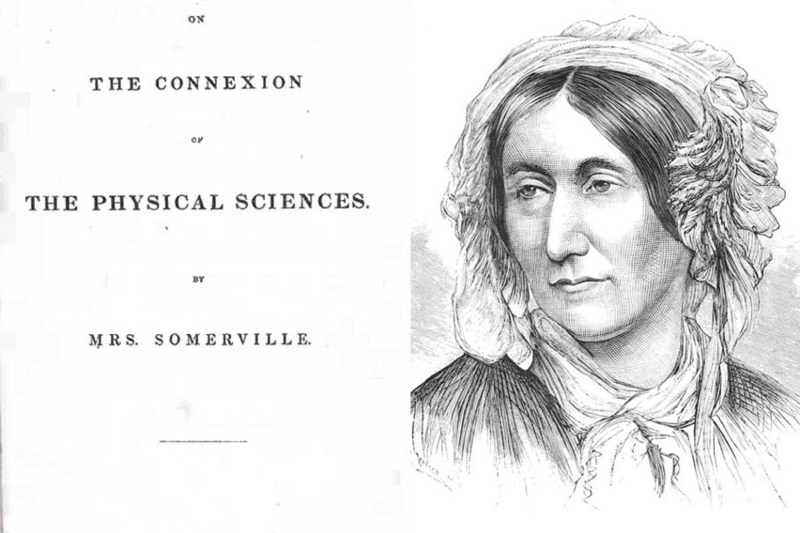 Mary Somerville: The Woman For Whom The Word “Scientist” Was Made #WomenInSTEM « Adafruit Industries – Makers, hackers, artists, designers and engineers! When we think of history’s great scientists, names such as Isaac Newton, Galileo Galilei, or Nicolaus Copernicus likely come to mind. The funny thing is that the term “scientist” wasn’t coined until 1834 — well after these men had died — and it was a woman named Mary Somerville who brought it into being in the first place. Mary Somerville was an almost entirely self-taught polymath whose areas of study included math, astronomy, and geology – just to name a few. That Somerville had such a constellation of interests, and possessed two X chromosomes, would signal a need to create a new term for someone like her — and scientific historian William Whewell would do precisely that upon reading her treatise, On the Connexion of the Physical Sciences, in 1834. After reading the 53-year-old Somerville’s work, he wanted to pen a glowing review of it. He encountered a problem, however: The term du jour for such an author would have been “man of science,” and that just didn’t fit Somerville. In a pinch, the well-known wordsmith coined the term “scientist” for Somerville. Whewell did not intend for this to be a gender-neutral term for “man of science;” rather, he made it in order to reflect the interdisciplinary nature of Somerville’s expertise. She was not just a mathematician, astronomer, or physicist; she possessed the intellectual acumen to weave these concepts together seamlessly.